We had a steady flow of people coming by the booth in the beginning, but mid festival until the end we had line ups of people. Many who came up said they were told by their friends that they had to go over and try the hop water. Overall the event was confirmation that we are onto something. It totally boosts my confidence as I work to convince skeptical distributors and retailers that hops can be enjoyed on more occasions than in craft beer. H2OPS and the hop drop logo are trademarks of H2OPS LLC. So how can it be that h2ops hop water doesn’t have any alcohol? Well it helps to understand where alcohol comes from. In beverages, the source of alcohol is from sugars, which are fermented by yeast, which in turn produces alcohol. Our hop water may be loaded with hops, but there are no fermentable sugars or yeast and therefore no alcohol. Interestingly, some non-alcoholic (NA) beers start out as alcoholic beers and through a process of high heat, most of the alcohol is removed…along with a lot of the flavor. After this removal process, there is typically some alcohol remaining. 0.5% is the legal limit to be considered a NA beverage in the US. Despite being below the limit, regulations require a person to be 21 years or older to purchase NA beer. h2ops hop water is not a beer or even a NA beer by any definition. Our unique hop water is simply brewed hops and sparkling water and is an innovative new part of the flavored water category. 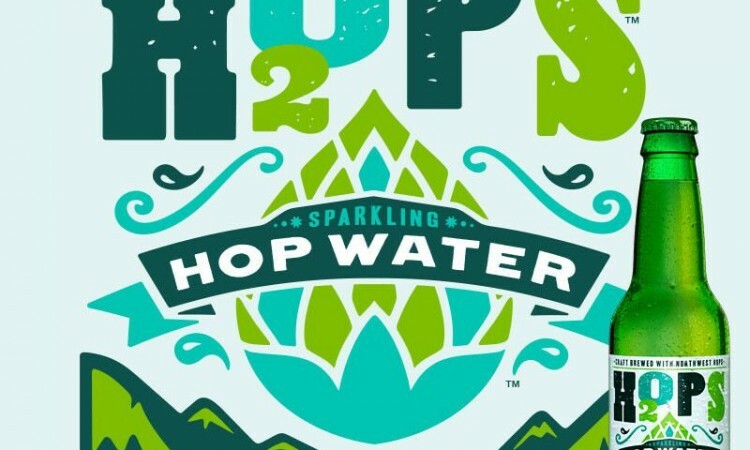 We have received many compliments on our hop drop graphic and h2ops hop water label, so I thought it would be cool to give credit where it is due. Ross Buswell at Atmosphere Design is the artist who created the h2ops graphics and label. Ross has some pretty amazing craft beer brand work in his portfolio and was even featured in a new book called “cool beer labels.” Although the craft beer work was impressive, he assured me that this innovative hop water work was in his wheelhouse. I think you will agree that he did a phenomenal job. The distinctive water drop icon is a cross between a hop and a water drop and to me has just the right feel and is crazy creative. Accordingly, we have taken steps to register the h2ops hop drop as an official trademark and plan to use it more and more in our packaging and logo merch. How do you pronounce h2ops? How do you pronounce h2ops? Is it H2-OPS, HOPS 2-0 or is it just H2OPS with the 2 being silent? Clearly whoever named this doesn’t understand good branding. To me, it’s an unconventional drink and an unconventional brand name. A wise person once said, “call me what you want, just don’t call me late to dinner.” h2ops the brand is kind of like that. We tend to call it H2-OPS but hey, its up to you. I do have to give credit (or blame) to a friend who came up with the name after tasting it. Perhaps I am dreaming, but If there were ever two hop waters on the menu, someone might just ask for a “hop water.” The waiter would then ask which brand? I sincerely hope that “H-2-O-P-S” will be the name awkwardly rolling off your tongue…with the 2 silent, or not. So I thought it would be interesting to post some more information on what is hop water and what others are doing with hops in beverages. 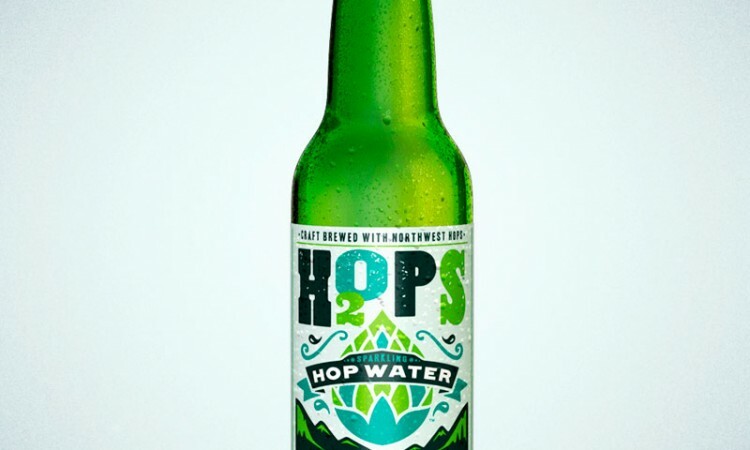 To update my knowledge, I spent quite a few hours on Google and it seems that “hop water” is a long established generic term for hops and water and is sometimes used for various health reasons. The CVS Pharmacy website for instance discusses generic “hop water” and details studies outside the US on its possible health benefits. The FDA considers hops as generally recognized as safe, but marketable health claims have not yet been substantiated. Personally, I believe our hop water should be enjoyed simply as a refreshing zero alcohol, zero calorie, flavored water. 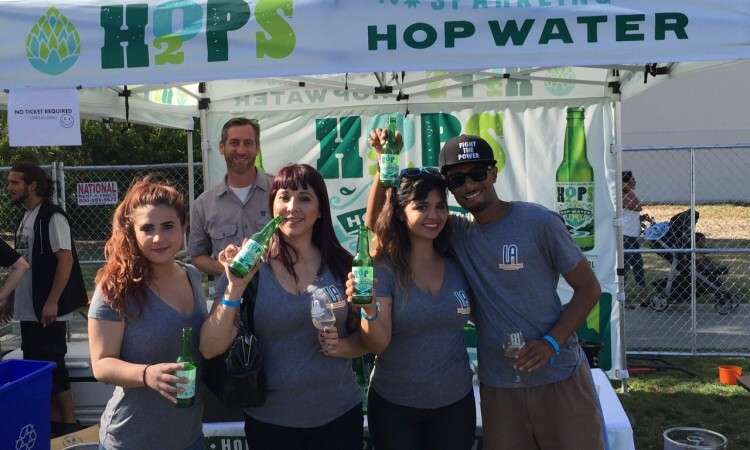 So what other hop water beverages are out there besides our h2ops? 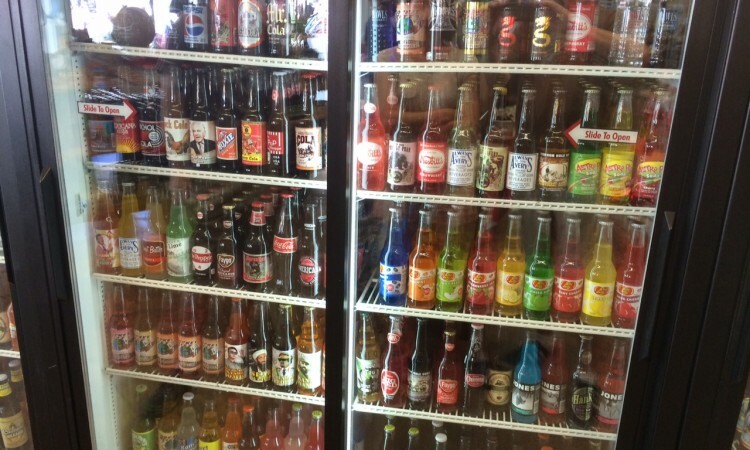 Not many, but I can report that there are a few entrepreneurial hop flavored, sugar sweetened sodas, tonics and supplements using the generic term hop water. It’s great to see other fellow innovators who share our love of hops. At this point, what sets us apart is that h2ops is simply brewed hops and water in ready to drink bottles and kegs. 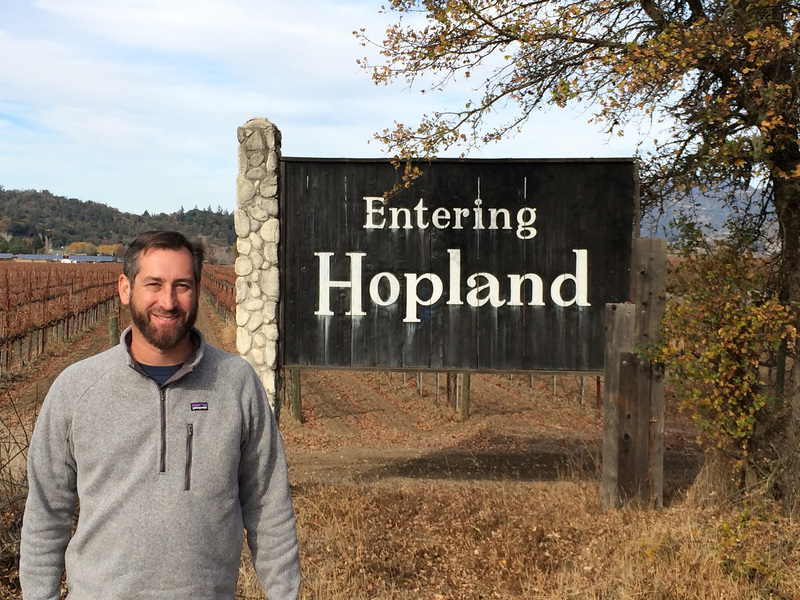 It will be fascinating to see what happens in the years to come to this “hop water” category and what other new and innovative uses for hops are discovered. So what is hop water and how did I come to discover it? It’s actually similar to the story you may have heard about the discovery of green tea. In the case of tea, the story goes that leaves blew off the tea plant into the emperor’s cup of water, he tasted it and it was good. Well I am not an emperor but inspiration came when I was brewing beer one day. I had picked all of the hop cones off my back yard hop bines (not a typo) and had quite a few left over. Perhaps it had something to do with the home brew I was drinking, but it seemed like a good idea to not waste the remaining hops. So I made up a sparkling hop water by brewing the hops with water and carbonated it in my kegerator. Like the emperor and his tea, it was actually good! This started a 2 year effort (which is still going on today) to brew the perfect hop water. 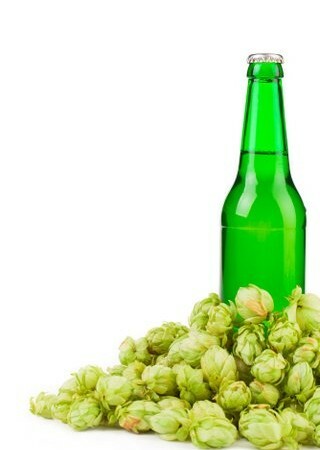 Brewers use many techniques to coax out the complex hop flavors and there are over 100 varieties of hops in commercial use; all with different flavor and bitterness characteristics. This has been no small journey! Currently I use a proprietary blend of northwest hops and some innovative brewing techniques, which seem to have good results. Thanks for checking out my blog/news post chronicling the creation of h2ops and other ramblings about hops and beverages. Drinking at Work – Fueling Tech Innovation?